The Breeders’ Cup has added new wagering options, including a late Pick 5 on Friday and Saturday, a Jackpot Super High 5, Head2Head Wagering and daily double wagering linking Friday and Saturday races. The Future Stars Friday Pick 5 will group all five Breeders’ Cup juvenile races and Saturday’s late Pick 5 culminates in the GI Breeders’ Cup Classic. The Jackpot Super High 5 requires bettors to pick the first five finishers of a race in order, with a $.50-cent minimum wager and 15% takeout. The wager will be offered on every race on the Friday and Saturday cards, including the undercard races, with the exception of the Saturday finale (there will be one race after the Classic). Head2Head wagering will have three to-be-determined offerings Friday and four Saturday. The $10 minimum wager offers just a 10% takeout and figures to include matchups that have a theoretical 50/50 chance against each other. An example of a head-to-head wager could be the Europeans vs. Americans in the Breeders’ Cup Juvenile Turf. The Breeders’ Cup will once again offer special Daily Double wagering that links a Friday race to a Saturday race, with a $1 minimum. 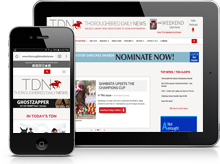 The daily doubles are the GI Breeders’ Cup Juvenile into the Classic, the GI Breeders’ Cup Juvenile Fillies into the GI Breeders’ Cup Distaff, and the GI Breeders’ Cup Juvenile Turf into the GI Breeders’ Cup Turf.